Kardea Cranberry Almond Wellness Nutrition Bar, 1.34 Ounce — 15 per case. 2 Comments on Kardea Cranberry Almond Wellness Nutrition Bar, 1.34 Ounce — 15 per case. A new addition! Delicate crunches of almond brittle provide a sweet counterbalance to the deep flavor of the dark chocolate bar. CHOCOLATES & CANDIES MELT IN HOT WEATHER! Please note our shipping policy: NO MATTER THE TIME OF YEAR, CHOCOLATES AND CANDIES CAN MELT EITHER AT YOUR DELIVERY ADDRESS OR ALONG THE DELIVERY ROUTE ACROSS THE COUNTRY IF THE TEMPERATURE IS ABOVE 75-80 DEGREES. Chocolates and candies can melt in hot weather, in a hot truck, or on a hot porch. CarbSmart can never be responsible for melted chocolates or candies in transit, and STRONGLY suggests using expedited shipping. PLEASE CONSIDER THE HEAT WHEN ORDERING. If your candy or chocolates arrive melted, please put them in the refrigerator until they harden again. The taste of the candy or chocolate will not be affected. Vanilla Almond Caramels. Each bag contains 8 caramels. Each caramel is about 13/16 oz. Savor the taste of the true art of fine Sugar Free Caramel confection. For almost thirty years, Judy’s Candy Company has put its loving hand to the creation of a Caramel line that blends yesterday’s quality with today’s freshness. Cream and sugary sweetness laced with chocolate or vanilla and some with whole-roasted premium nuts, cooked to harmonize into a gooey chewy blend of perfection… a symphony of savory sweetness. Nutrition Facts: Serving Size 1 piece (23g), Servings per container 8, Calories 60, Calories from Fat 25, Total Fat 2.5g, Saturated Fat 1.5g, Cholesterol 5mg, Sodium 5mg, Total Carbohydrate 12g*, Dietary Fiber 0g*, Sugars 0g, Sugar Alcohols 11g*, Protein 0g. *Net Impact Carbs = 1 gram per serving. The original 100 % flourless sprouted grain cereal as described in the Holy Scriptures, Take also unto thee wheat and barley and beans and lentils and millet and spelt and put them in one vessel and make bread of it, -Ezekiel 4:9, a complete protein crunchy cereal. We discovered when these six grains and legumes are sprouted and combined, an amazing thing happens. A complete protein is created that closely parallels the protein found in milk and eggs. In fact, the protein quality is to high that it is 84.3% as efficient as the highest recognized source of protein, contain all 9 essential amino acids. Plus there are 18 amino acids present in this unique cereal – from all vegetable sources. Ezekiel 4:9 Sprouted Grain Cereal, made from freshly sprouted organically grown grains, is naturally flavorful and bursting with nutrients, and rich in protein, vitamins, minerals and natural fiber with no added fat. Yeast-free. No added oil No artificial flavors. Certified organic by QAI. 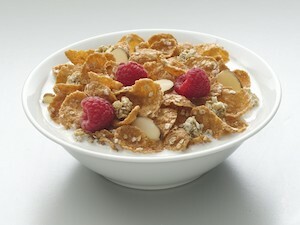 Oatmeal Crisp Cereal, Chunky Almonds is made with whole grains helps in reducing the risk of high blood pressure. Irresistible taste that’s heart healthy! Are you ready for a cereal that’s so tasty, so deliciously satisfying, that you look forward to eating a nutritious breakfast? With Oatmeal Crisp Crunchy Almond you can jumpstart your day with the unbeatable crunch of lightly sweetened whole grain flakes, crunchy almonds, and hearty oat clusters. It’s a satisfying, nutritious cereal that contains ingredients that can help lower blood pressure and reduce the risk of heart disease. And the taste? Irresistibly delicious. Lower blood pressure: Diets low in sodium, that contain foods like Oatmeal Crisp Crunchy Almond cereal, may reduce the risk of high blood pressure, a disease associated with many factors. Other steps to controlling blood pressure include controlling your weight, enjoying fresh fruits and vegetables, getting regular exercise, and getting regular blood pressure check-ups. Reduce risk of heart disease: When you think oats, you think of nutritious whole grains. What you might not know is that diets rich in whole grain and other plant foods, and low in saturated fat and cholesterol, may help reduce the risk of heart disease. Include Oatmeal Crisp Crunchy Almond cereal as part of your heart healthy eating plan. When you consider the benefits of cereal, you’ll see why it is a great breakfast choice. Ready-to-eat cereals are rich in important vitamins and minerals, yet lower in calories than many other breakfast options. All General Mills Big G cereals have whole grain as the first ingredient. Just look for the white check! Cereal is already one of the healthiest breakfast choices you can make. And the entire Big G cereal line is made with whole grains, making breakfast even healthier. Manage diabetes. 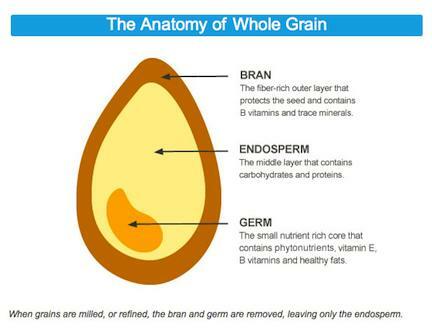 The American Diabetes Association recommends whole grain as part of a diabetic diet. Oatmeal Crisp is a registered trademark of General Mills. American Diabetes Association is a registered trademark of American Diabetes Association, Inc.
Diets rich in whole grain foods and other plant foods, and low in saturated fat and cholesterol, may help reduce the risk of heart disease. The ONLY protein bar with a PERFECT nutritional profile.Quest is the first bar you can eat guilt FREETo bring you a bar this healthy and this tasty, we had to create a whole new process for making bars. Quest is so revolutionary, in fact, that weve filed a patent. Thats why you wont see anything else like it on the market. Quest is the first truly low carb bar that doesnt contain glycerin, simple carbs, uses no sugar, and no sugar alcohols. Quest bars are the only bars that you can eat without feeling guilty. NEVER COMPROMISE!